Baptism is the first of the sacraments, and its effects are profound. The priest pours water over the forehead of the child or adult being baptised. By that sign, he or she is cleansed from sin and adopted as a child of God, no less, and a member of Christ’s Church. If you are reading this section because you are planning to have your baby baptised – congratulations on the birth of your son or daughter! We look forward to welcoming him or her into the Church, and into the Salisbury Catholic community, just as we delight in any adult who decides to take this all-important step. 1. Click the link here and read the content that you find there under ‘Baptism’ and watch the videos. 2. Join one of our Baptism preparation courses. These run throughout the year at both St Gregory’s and St Osmund’s. There are three short sessions and are a great opportunity to focus upon why you want your child baptised and to meet other families at the same stage as yourself and fellow-parishioners who will support you in this faith journey. If you are a young person or an adult interested in baptism for yourself – that is wonderful news! You are at the threshold of an exciting journey of faith and we are looking forward to walking with you on that journey. My child is not a baby anymore – can he/she still be baptised? Yes. The process outlined in this section of our website is for those presented for baptism as infants or young children. If you have a child who has reached catechetical age/the age of reason (approx 7yrs old/Year 3) they will receive different preparation. Having sufficient understanding, preparation will now be for Baptism, First Holy Communion and First Reconciliation (and, dependent upon age, Confirmation). Why do we have to attend baptism preparation classes? It is not uncommon for parents to approach the Church for baptism for cultural or social reasons rather than spiritual ones. Too often, religiously indifferent parents ask for their child's baptism merely because they are being pressured by their own parents to have their child baptised. In our culture, the celebration of an infant's baptism is an important social event, quite separate from its religious significance, and baptism is for this reason requested by parents who no longer practice their Catholic faith themselves. In such cases the spiritual importance of this sacrament is being lost. The Church seeks to avoid situations in which a child is baptised a Catholic, but then, due to the negligence and indifference of his/her parents, is not raised to practice the Catholic faith. For this reason canon 868.1 n.2 notes that for a child to be baptised, there must be a realistic hope that he/she will be brought up in the Catholic religion. Deciding what constitutes a "realistic hope" that the child will be raised Catholic is often a difficult judgment call, and sincere priests may at times differ about what to do in a particular case. It cannot be automatically assumed that there is no hope of the child's Catholic upbringing simply because the parents themselves are less than perfect Catholics. For example, the fact that the child’s parents were not married in the Catholic Church, or perhaps are not even married at all, may not necessarily indicate that they have no intention of raising their child as a Catholic. God alone knows whether, in some cases, the decision of lapsed-Catholic parents to educate their children in the Catholic faith may actually bring about a return to the Church on the part of the parents themselves! To avoid confusion and inconsistency, it has become the norm for parishes to hold mandatory classes for parents requesting infant baptism, in order to ensure that 1) all parents truly understand the spiritual obligations that their child's baptism will place on them, and 2) there is an opportunity to determine whether it may be unrealistic to hope that the children of the parents attending the class will be raised as Catholics. Our programme is only three sessions long and, whilst it may require some inconvenience and sacrifice to attend, given the tremendous spiritual importance of the sacrament of baptism to your child, it will be well worth it! A child must have at least one godparent (also called a sponsor). Godparents must be chosen by the parents, have the ability and the intention to fulfil the role, be at least 16 years of age and be a confirmed Roman Catholic who has already received the Most Holy Eucharist, leading a life in harmony with the Catholic faith and be a good role model for the one being baptised, and be neither the father nor the mother of the child. A baptised person who belongs to another Christian community may be admitted as a ‘Christian witness’ provided that there is at least one Roman Catholic godparent who fulfils the above criteria. A non-baptised person cannot be a witness (Code of Canon Law, cc. 872-874; Catechism of the Catholic Church 1255). Does my child/baby have to wear white to be baptised? No. Whilst the wearing of a white ‘christening gown’ is still the most common attire for babies presented for baptism, it is not essential and we certainly would not encourage families going to unnecessary expense. This is particularly the case when it is an older child being baptised who may feel uncomfortable or self-conscious in a special gown or outfit. The baptismal ‘garment’ is a white garment either worn from the beginning of the ritual or given after pouring or immersion. It is a symbol - an outward sign of the person’s Christian dignity. It also signifies that the child has become a new creation and has been clothed with Christ. If the child is in ordinary clothing, this is achieved by the placing of a white shawl or cloth over the child temporarily. You may have one that you would like to use but, if not, we have one that can be used during the baptism. We live in a different parish but I would like my child baptised here. Is that possible? Yes. You are required to undertake your Baptismal Preparation in the parish in which you reside and then receive permission from your Parish Priest to have your child baptised in our parish. (There is a section for this permission on our Baptism Application Form). This requirement respects the reality that parish priests normally have sacramental jurisdiction only over their own parishioners. Therefore, when one seeks a sacrament outside of one’s parish, the proper parish priest’s permission is necessary. 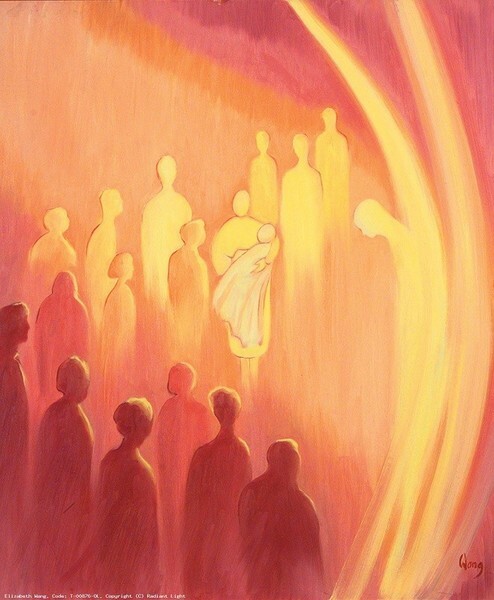 Furthermore, the invitation to connect with one’s own proper parish first is founded on the hope that the faith-life of the family and of the one(s) to be baptised will be lived in community and not in isolation.